แม้ว่าจะบอกว่ารองรับแค่ XP ,2000 แต่ลองกับ Windows7 แล้ว ก็ลงได้และใช้งานได้ครับ โดยจะต้อง คลิกขวาของไฟล์ที่โหลดมาและ ไปที่ Properties > Compatibility, checked "Run this program in compatibility mode" และติ้กเลือก "Windows XP (Service Pack 2)". 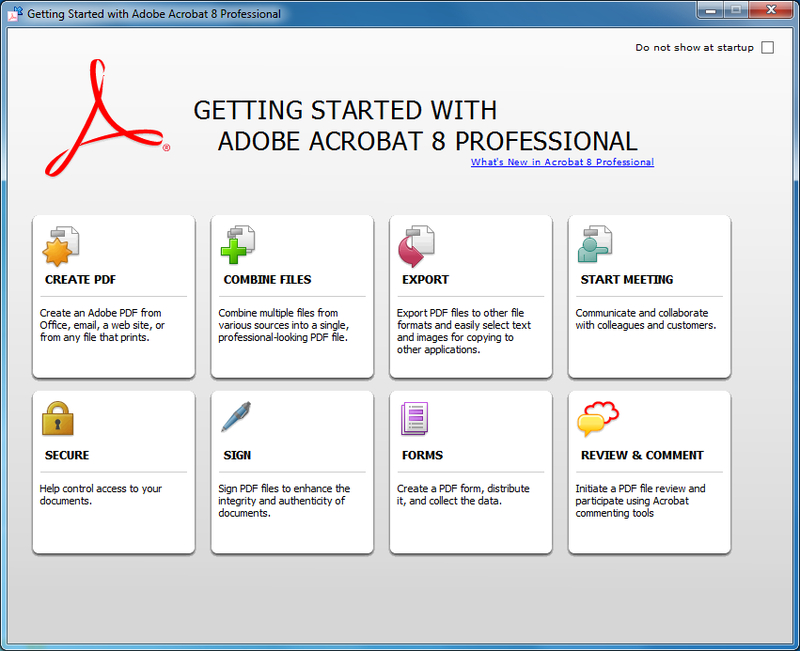 Adobe Acrobat Pro 8.0 used to be sell software from Adobe since 2006 ,it is the full version that come along with tools and features more that reader only version which is use to open and print the PDF file only. The pro version can do the following; Edit ,joint and combine document ,Add text and description ,save as ,insert digital signature and etc. Because this software was released since 2006 so it quite a long time ago and then the company is freely open to download and use by the user around the world so the interest computer users who interest in PDF management software can download and install on your PC with the full ability to use. Although the platform prefers XP/2000 ,however on Windows7 could be install with a bit tricky by Properties > Compatibility, checked "Run this program in compatibility mode"
and if you want to put the serial number 1118-1414-1955-8737-8172-0350 . click Next and follow the installation process until complete. It s work for Window 10 too ka. Thank you so muck. i CANNOT DOWNLOAD PRO 8. Please help me for method.!!! You don't have permission to access "http://trials3.adobe.com/AdobeProducts/APRO/Acrobat_HelpX/win32/Acrobat_2015_Web_WWMUI.exe" on this server.